Counting on and back in addition and subtraction. 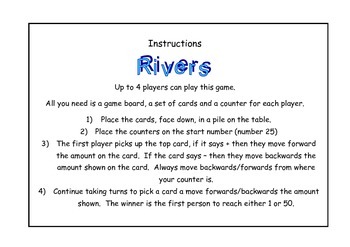 This game comes with a full set of instruction, it is a 4 player game but could be played with more. 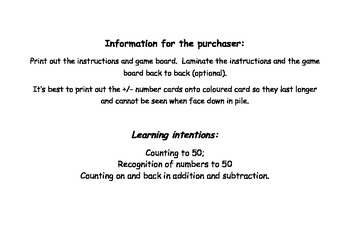 The aim of the game is to be the first person to get to either 1 or 50 by select cards hich contain an operation e.g., +3 or -1 children perform this operation to the number that their counter is own. 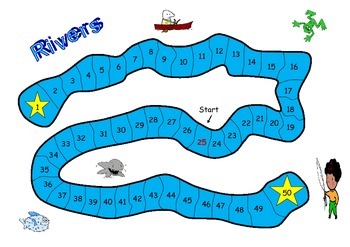 For extension; children can write down the operation they have just performed. 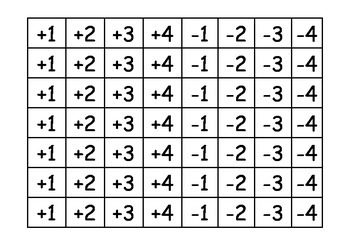 for example if they are on square 32 and select a +2 card, they would write 26 + 2 = 28.